Customized adventures designed for women by women. Feel confident when you take the leap from the lifts to the backcountry with these intro to backcountry trips. Meet other ladies looking to get into the backcountry too! We host a range of winter trips and courses that suite all of your backcountry needs. Looking to get into the backcountry for the first time this winter? You will experience the backcountry in an enjoyable, supportive, and fun manner! Check back next fall for 2018/2019 dates! Spend three unforgettable days in the beautiful Colorado backcountry ski touring, gaining more experience in the backcountry, and relaxing in a cozy hut with evening and morning yoga sessions taught by local adventurer and splitboarder Arielle Shipe. Arielle is a Yoga Alliance E-RYT 500 yoga and meditation teacher and her moto is Work Hard, Play Hard, Rest Hard and that is exactly what participants will be doing! Participants will also learn the process of getting an appropriate hut booked, planning the menu, who to invite, what to expect at the hut, and how to make it a comfortable, fun, and safe outing for friends and family. Eat delicious and nutritious hut-cooked food and enjoy the special sort of camaraderie found only in the mountains. Days will be filled with skiing or snowboarding, and avalanche safety and evenings will be filled with connecting with new friends, laughing, and relaxing. You want to connect with ladies from all over and have the time of your life! Participants must be able to ski tour, splitboard, or snowshoe on intermediate to advanced terrain, and must and bring their own touring equipment. Take a safe, educational, and fun leap into the backcountry! During this one day casual and comfortable tour, we will discuss standards for day-trip planning with pack and gear recommendations as well as assessing group dynamics for travel in the backcountry. The setting will be in an environment where potential hazards will not impact the learning process. Experience first hand how to assess, recognize and avoid avalanche terrain while learning to travel efficiently and safely in the backcountry. Whether you are just getting into the backcountry or have years of experience, this one day workshop serves as the perfect pre-backcountry trip prep or refresher. We will go over what it takes to fully prepare for a day in the backcountry so you and your partner can have an enjoyable and safe time. We will also go over how to properly use a beacon, probe, and shovel in this interactive workshop. Leave the Boys Behind operates under Aspen Alpine Guides, which has provided quality mountain guiding adventures year-round in Aspen, Colorado since 1987. 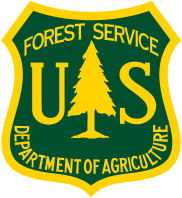 Aspen Alpine Guides is an equal opportunity service provider and employer that operates under a special use permit from the USDA Forest Service in the White River National Forest. All AAG guides maintain vigorous training schedules, retain various professional guide and medical certifications, and are active members of the guiding community. Copyright © 2017 Leave the Boys Behind, All rights reserved.